We’re back at the CV Show 2019 this year with a bigger and better stand (3E31) and to celebrate our second year we’re going to be giving away a full commercial wrap to one lucky winner! All you need to do to be in with a chance of winning is to visit our stand and speak to one of our team members, if you have one hand over a business card or fill in a form and thats it! The wrap will be produced on 3M ij480c NON-PVC vinyl and the prize includes design, production and fitment of the wrap at our premises in Maidstone, Kent. 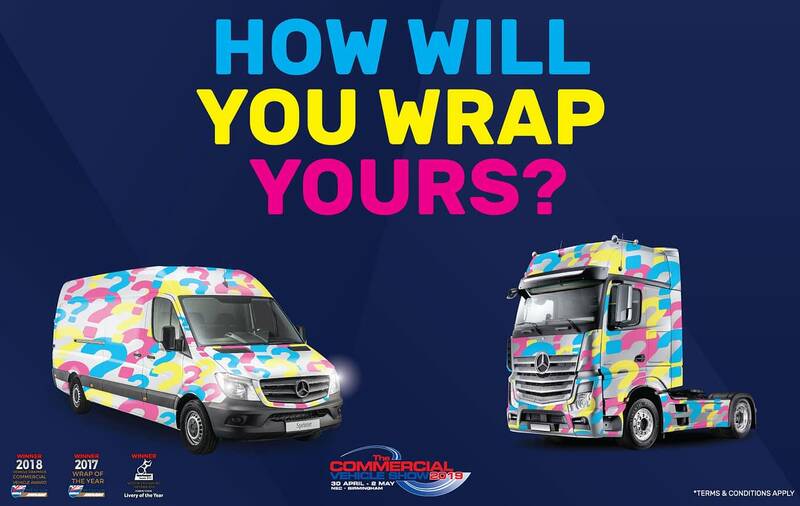 The winner will receive 1 x full commercial wrap to a HGV cab or van of their choosing (not including door shuts) using 3M ij480c NON-PVC wrap film. By entering this competition, the winner agrees to participate in any and all publicity, including but not restricted to, photography, videography, media interviews, social media posts surrounding the competition for a period of one year from 30th of April 2019 to the 1st of May 2020. Fitment of the wrap is to take place at RGVA Unit 4, Maidstone, Kent, Me15 9YP. Travel to site can be arranged at a cost to the winner and only if the environment for the wrap complies with 3M MCS Warranty arrangements. The prize also includes 4 hours of design time, creating a visual for this vehicles, this visual will remain the property of RGVA. The visual for the wrap must be checked and signed off by the winner prior to work commencing, this includes but is not limited to, colours, spelling, vehicle dimensions and specifications. RGVA’s standard T&Cs also apply.